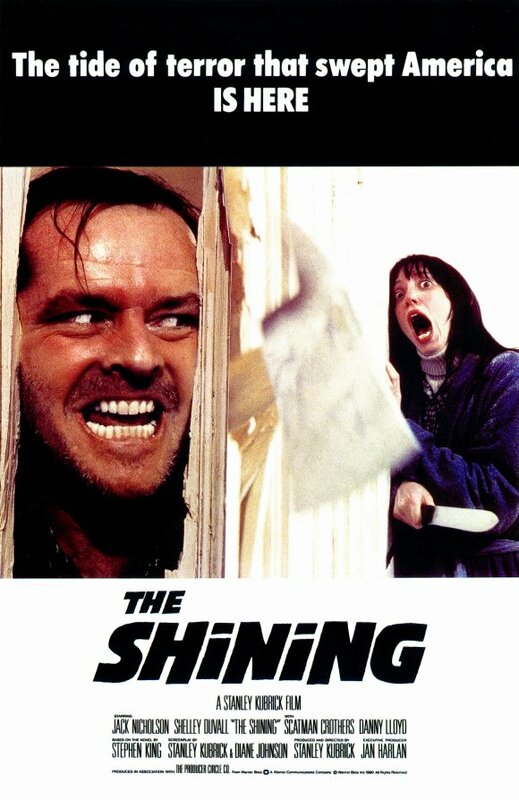 In Stanley Kubrick's disturbing 1980 adaptation of The Stephen King psychological horror novel, The Shining, Jack Nicholson plays a writer who takes a job as a caretaker at an off-season isolated hotel. 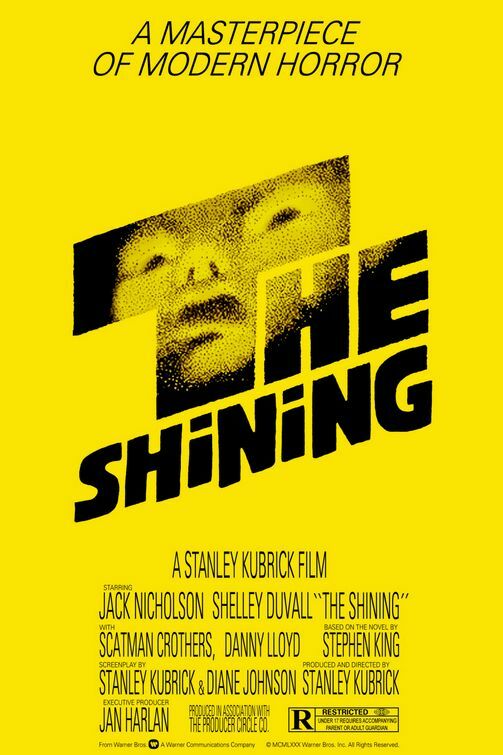 As the possessed hotel slowly drives him insane, only his son's psychic abilities (known as 'The Shining') can save him and his mother before his father murders them. 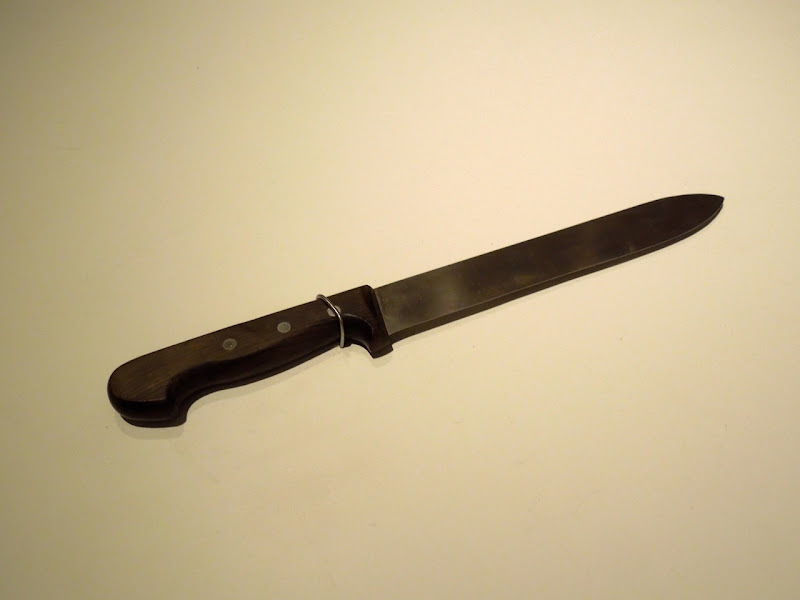 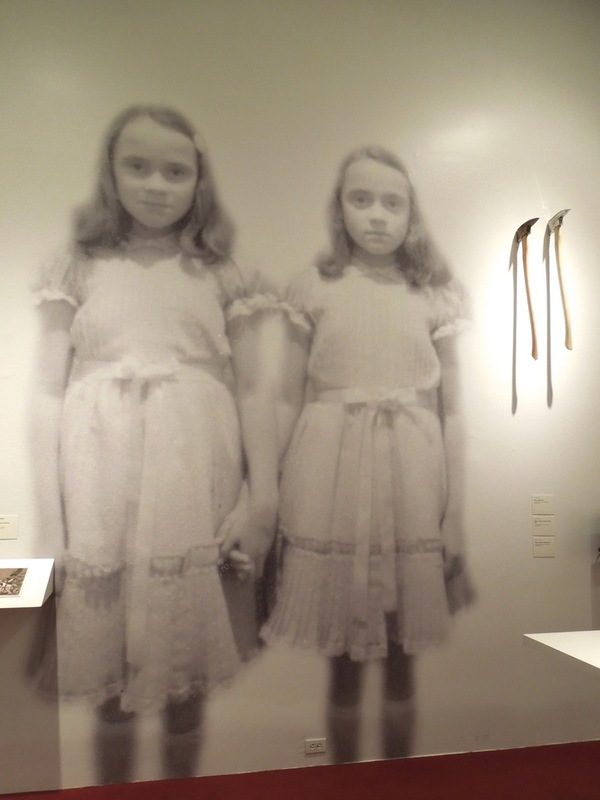 This wonderful collection of costumes, props and models from the classic horror movie, including the original knife prop used by Shelley Duval as 'Wendy Torrance', were photographed on display at the Stanley Kubrick exhibition at LACMA (Los Angeles County Museum of Art) on January 10, 2013. 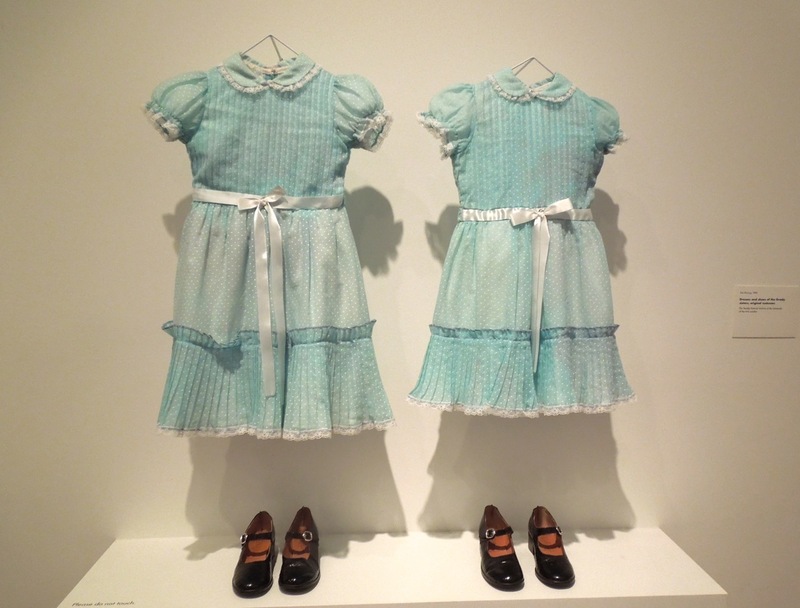 The fantastic exhibit also included actual dresses and shoes worn by Lisa and Louise Burns as the creepy, ghostly Grady Sisters. 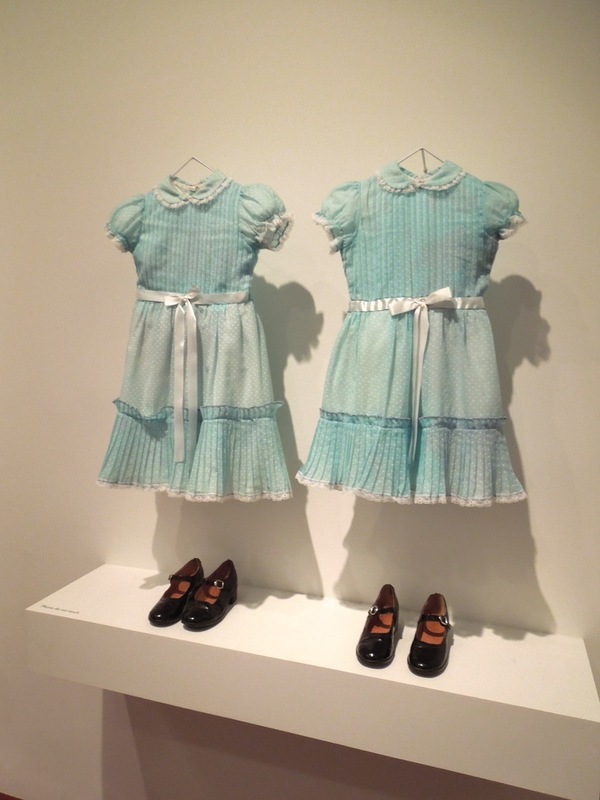 Milena Canonero was Costume Designer on this iconic horror movie. 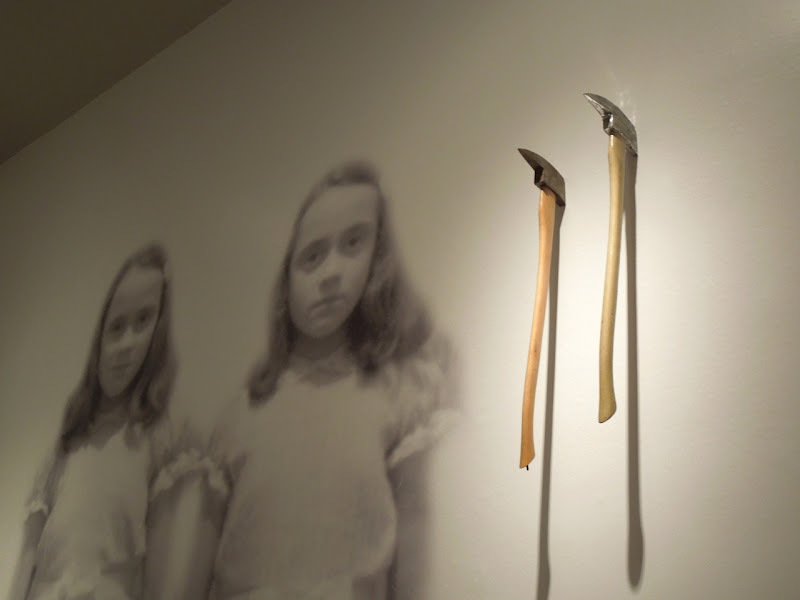 These actual axes used in the movie by Jack Nicholson as ' Jack Torrance' were wonderfully and creatively on display at the exhibit too. 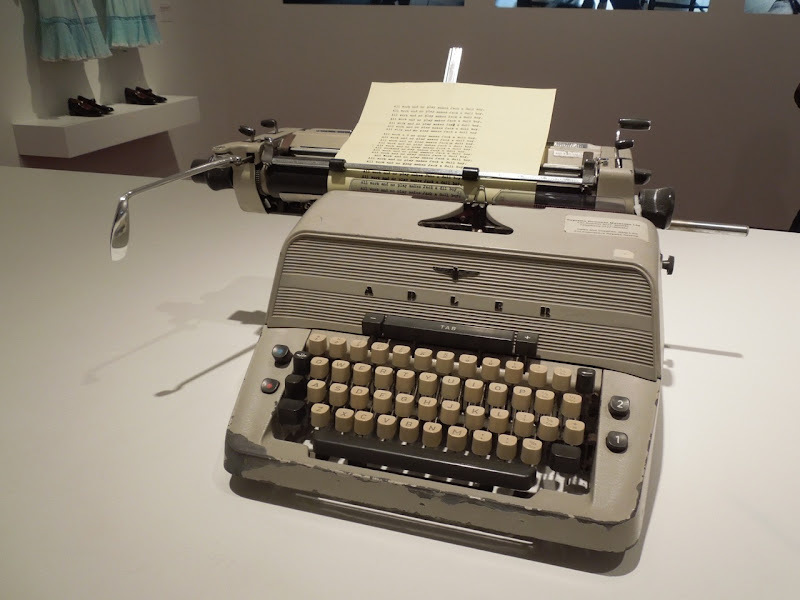 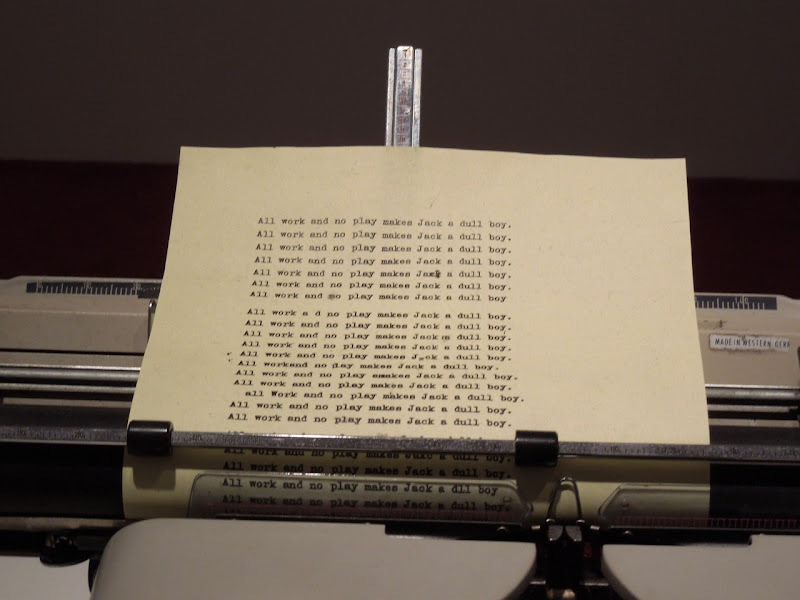 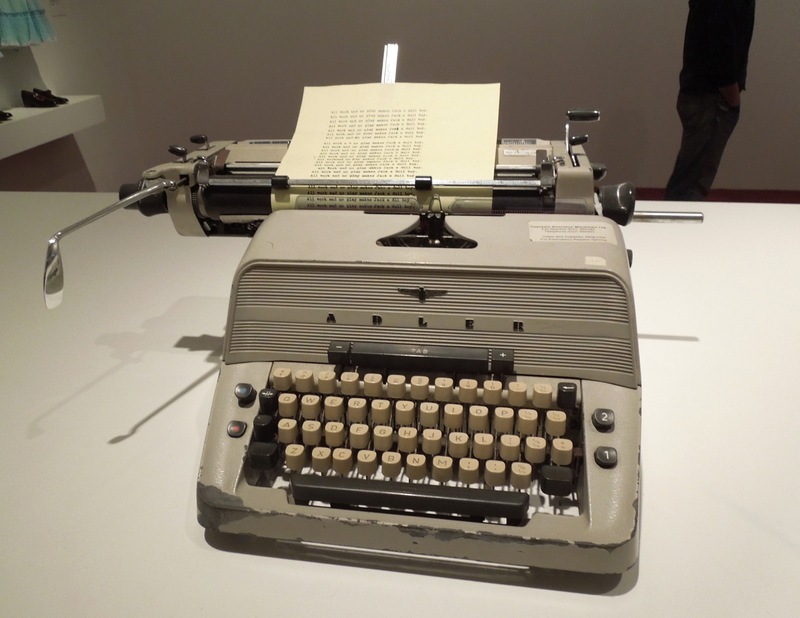 In addition there was also the original Adler typewriter his character uses in the film, plus the page from his manuscript with the phrase he has been endlessly typing 'All work and no play makes Jack a dull boy'. 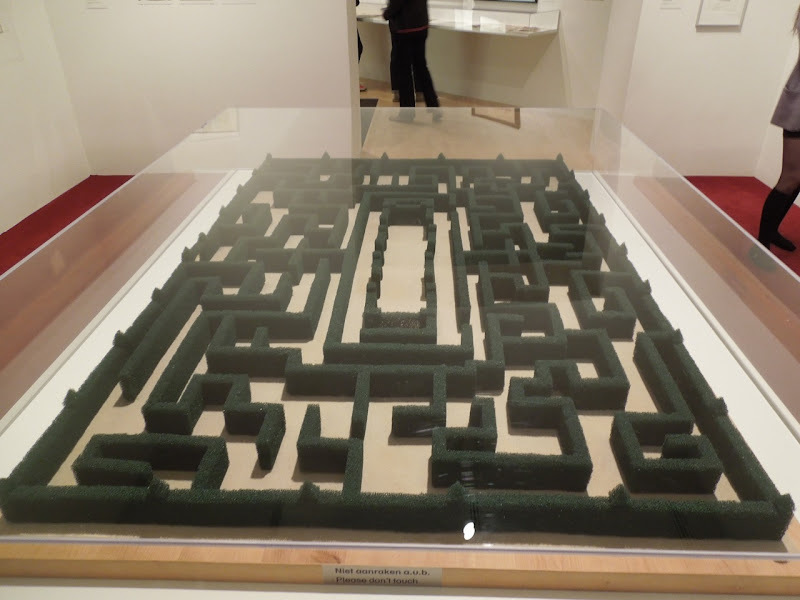 Also on display with these original pieces was this scale model recreation of the haunted hotel's labyrinth maze. 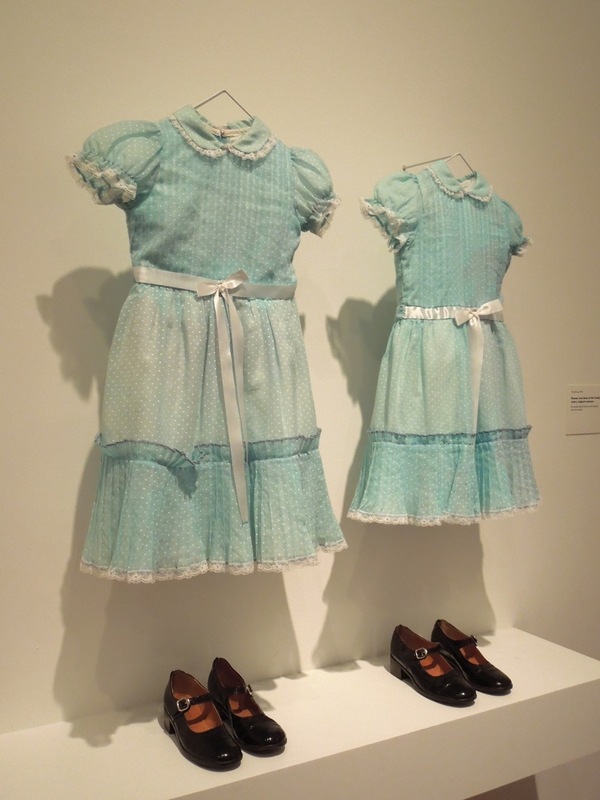 If you're a fan of this film, you may also like these other costumes and props from horror movie genre on display. 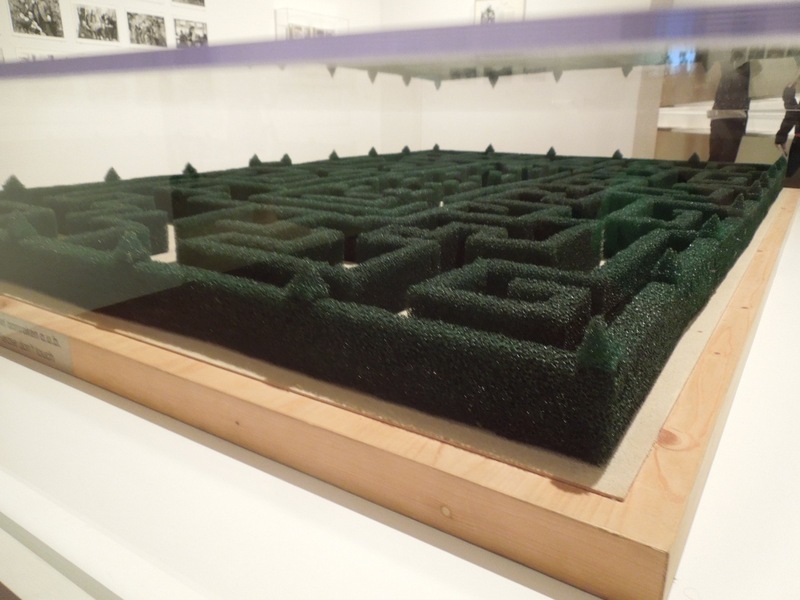 Did the people involved in The Shining MOMA display deal with anyone like Fred Gunning (head carpenter), Del Smith (head painter), Len Furey (construction manager), Thomas Tarry (master plasterer) or Roy Walker who were responsible for the props & set designs for the film? 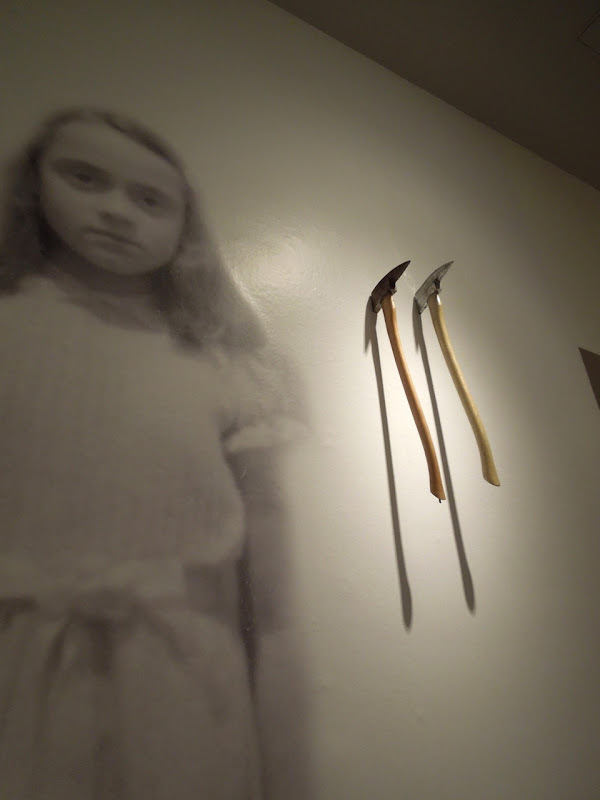 I'd love to know who actually built the "demon elevator" set & carved its symbolic details. 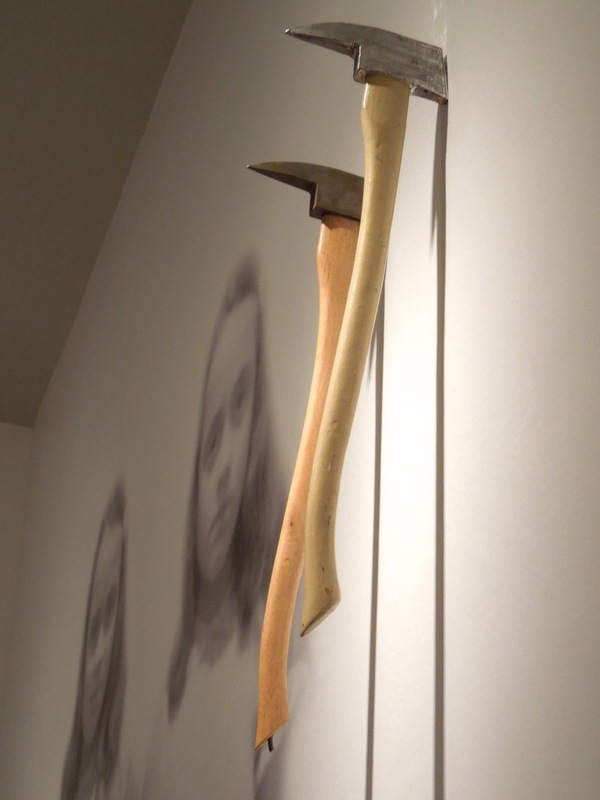 Sorry for the year-late post. 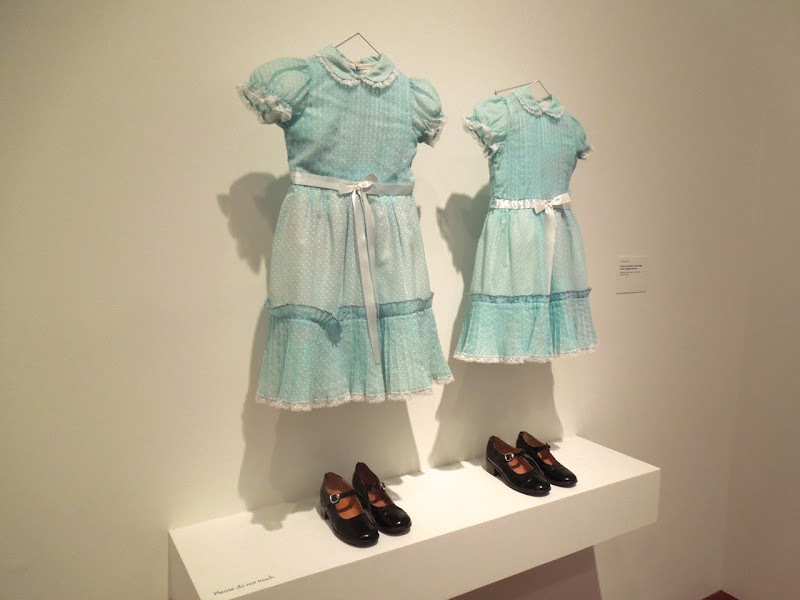 Truthfully Nicole I don't know, but I think this was a traveling exhibit and had been several places before it arrived at LACMA.